Talk Nerdy To Me: Dear Vitaminwater, For Reals? 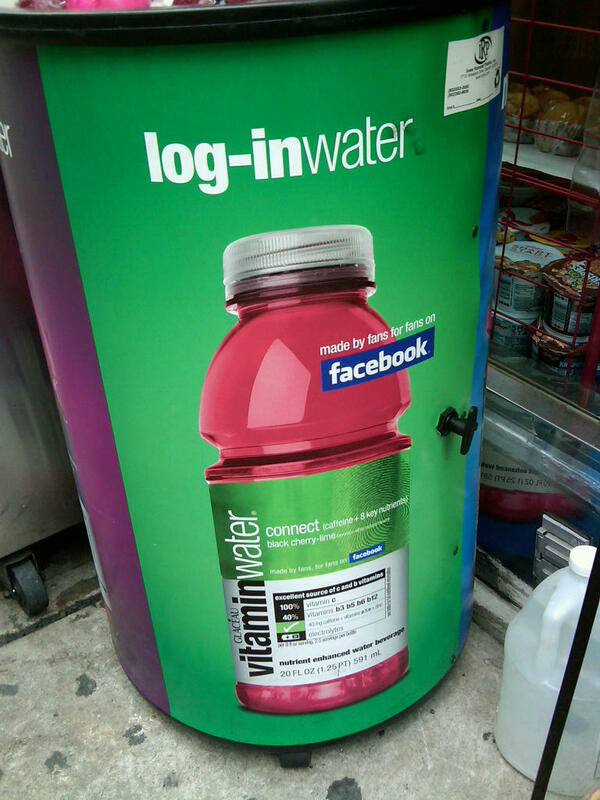 We've seen tons of celebs making their mark on Vitaminwater; Steve Nash, Carrie Underwood, Shaq, Kelly Clarkson, 50 Cent... and now Facebook? Fans on Facebook voted in the newest flavor black cherry-lime earlier this year and it sports the name 'Connect'. Seeing it on the street definitely stopped me for a second. Interesting approach. I'm just not sure? Maybe it should be called 'Privacy'.